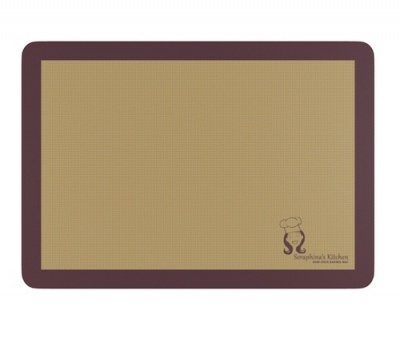 PREMIUM Silicone Non Stick Baking Mat. Reusable, Flexible and Easy To Clean. Certified food-safe. Available as a single baking mat or choose a 2 pack from the drop down menu. Made from FDA(USA) & LFGB(Europe) Food-safe materials to withstand temperatures between -40C and 250C. Cooking temperature should not exceeded 250C max. Do not leave the mat for too long and too close to a grill element. Reusable non-stick baking mat. Say goodbye to disposable liners. This baking mat lines your baking sheets and trays to make them non-stick - old trays will work like new! 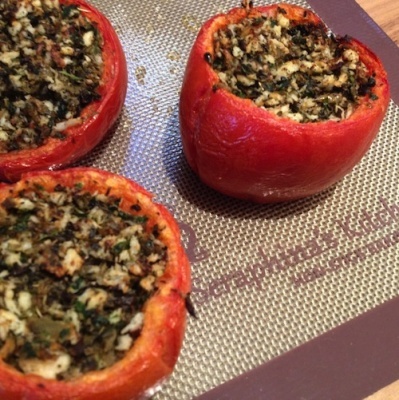 Non-stick, no need to add fatty oils for a healthy way to bake. Certified food-safe. 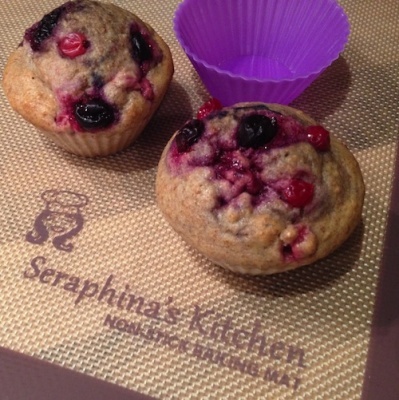 Professional Grade Bakeware by Seraphina's Kitchen, a friendly British company. 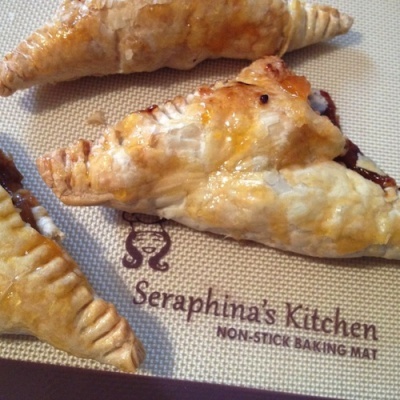 Backed by a LIFETIME Money-back Guarantee exclusively from Seraphina's Kitchen. 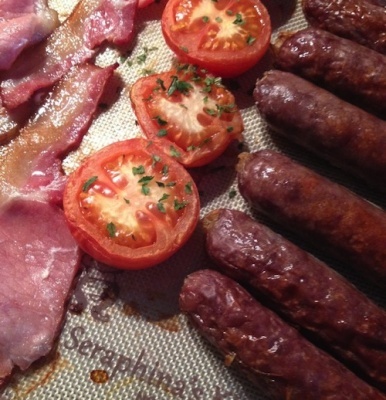 Buy the best cooking and baking mat with confidence! Made from FDA(USA) & LFGB(Europe) Food-safe materials to withstand temperatures between -40C and 250C. Cooking temperature should not exceeded 250C max. Do not leave the mat for too long and too close to a grill element. 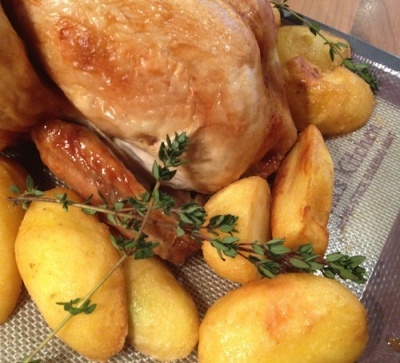 PREMIUM GRADE SILICONE for non stick baking, and FIBREGLASS MESH for even heat distribution. 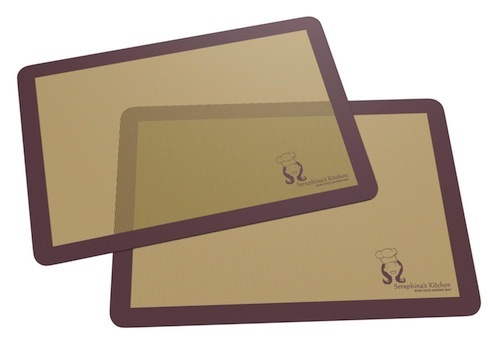 Beautifully designed in the UK, the flexible materials enable the silicone mats to adjust to smaller sized bakeware. Professional grade for the home cook. Designed to withstand temperatures between -40C and 250C - use in your conventional oven, microwave, refrigerator and freezer. The mats are dishwasher safe but prefer to be hand-washed. Avoid harsh scrubbing or scraping. Do not cut or pierce the mat. Some discolouration can occur, however this will not impact the effectiveness of the baking mats in any way. Measurements 28cm x 38cm. Available as a single baking mat or choose a 2 pack from the drop down menu. THE SECRET TO HASSLE-FREE COOKING THAT PROFESSIONAL CHEFS HAVE KNOWN ABOUT FOR DECADES! SAY GOODBYE TO SCRUBBING DIRTY BAKING PANS. These baking mats are non-stick and very easy to clean - rinse, wipe clean and air dry. So quick and simple! VERY VERSATILE. Suitable for all types of cooking and baking - biscuits, pastries, making sweets, roasting meat and vegetables, and baking fish. HEALTHY COOKING AND CONSISTENT RESULTS. No need to add fatty oils and the mats distribute heat evenly for better cooking results. Reusable 2000+ times; no disposable liners needed. This baking mat lines your baking sheets and trays to make them non-stick - old trays will work like new! You'll wonder how you ever cooked without one! - Premium quality and beautifully designed at an affordable price. - Tested thoroughly for effectiveness and durability. - Unbeatable, no questions asked, 100% money-back guarantee and commitment to customer service. - Give old trays a new life!